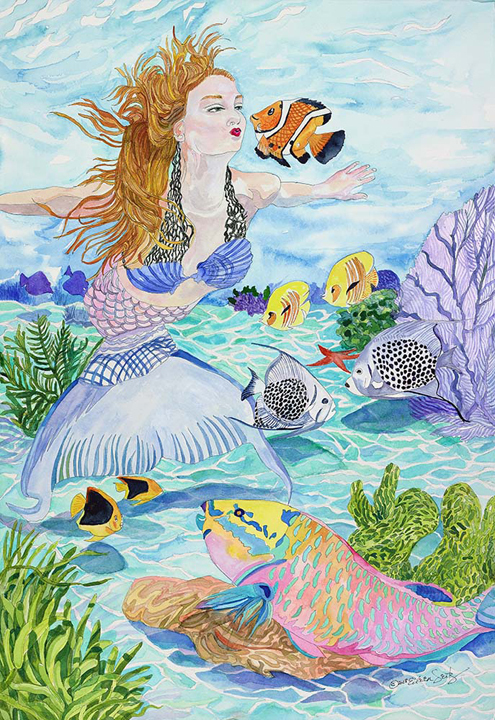 I was inspired to paint this mermaid upon seeing a photograph of a young lady who was dressed in her tail. So charming. Image: 15.25" x 11" / Surface: 17.25" x 13"
Image: 22" x 14" / Surface: 22" x 14"